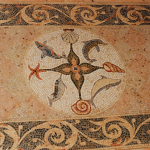 Aiellomosaics specializes in Architectural Mosaic Design. 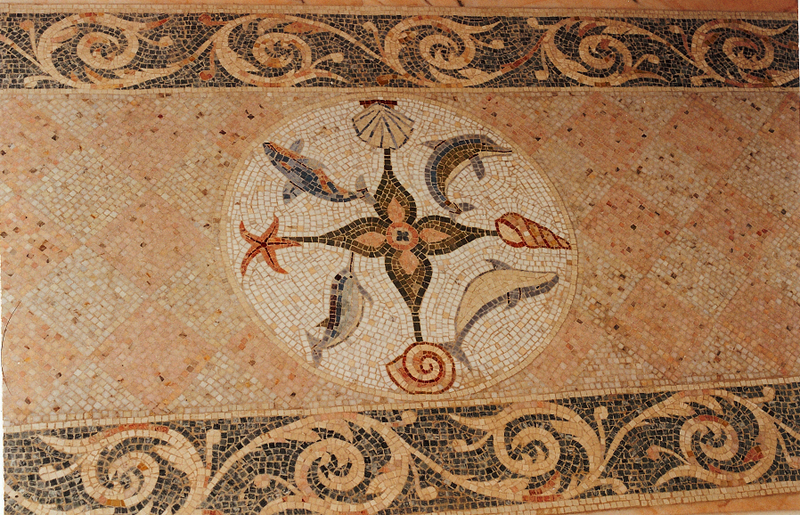 Our mosaics have been widely specified for commercial and residential,hotels, villas, boats, private homes, swimming pools, wellness spas, yachts, bathrooms and wall or floor decors,whirlpools baths ,artistic murals, hotels, airports, and interior and exterior applications throughout the world.The ancient Romans used to decorate fountains,grottos, Nymphaea,Musaea using mosaic .These sanctuaries were places of repose , providing cool relief from the summer heat, a place where poets and philosophers could converse.Today Pools ,thermal baths and spas keep this tradition alive and due to its water-resistant qualities, mosaic is perfect for water areas: it doesn’t deteriorate in humidity and provides a slip-proof surface when stepping out of the shower or bath. 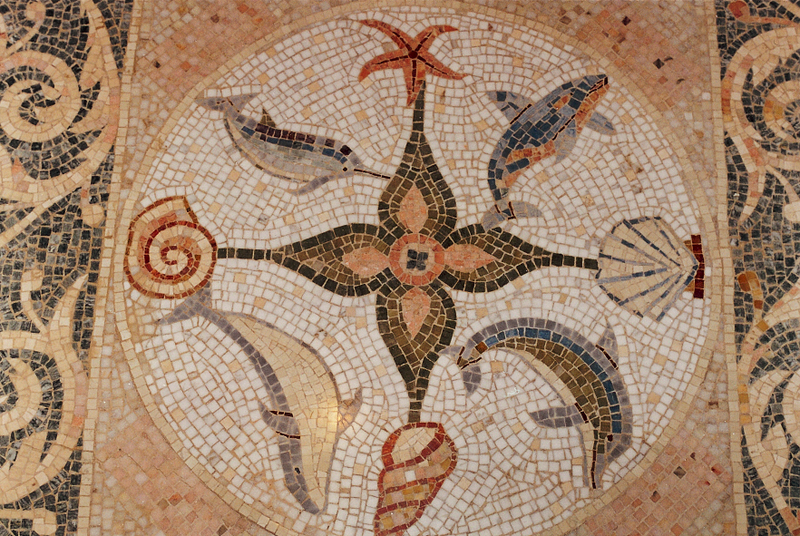 Glass mosaic also maintains its brilliance, and is actually enhanced by water. 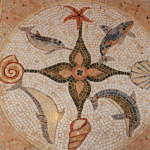 With full mosaic floors, walls or smaller decorative inserts, it is possible to create a one-of-a-kind bath, shower or pool area. Another possible application of mosaic is in the kitchen, as an artistic design element or, more practically, as an attractive, impermeable surface to protect the wall behind the kitchen counter and sink. A glass tile backsplash is particularly beautiful, and easily installed in any kitchen. 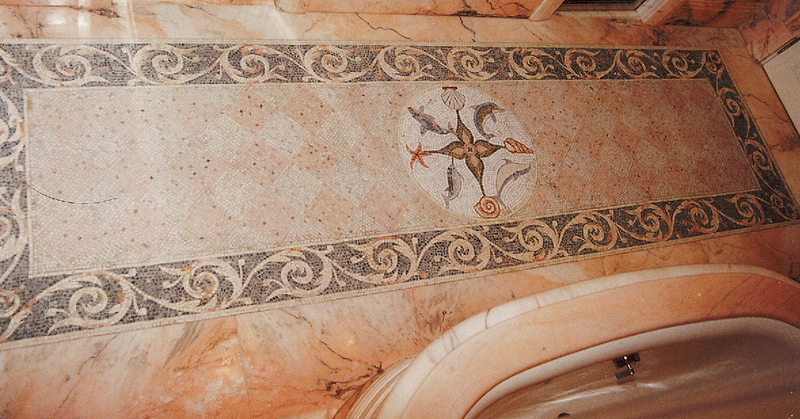 Would you like your bathroom or pool area to be as beautifully decorated as an ancient Roman villa? Full mosaic murals can be installed on walls, floors and surfaces, or smaller decorative inserts can be added according to your taste. Proper construction and installation – either created directly on-site or pieced together and then permanently mounted – ensure that you will have a beautiful, unique, waterproof and slip-proof environment in your bath or pool area, a thing of beauty to enjoy daily. 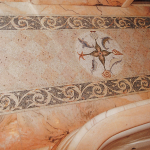 Marble – noted for its versatility and wide range of colors, textures and unique veining – has been the material of choice in fine art for thousands of years. 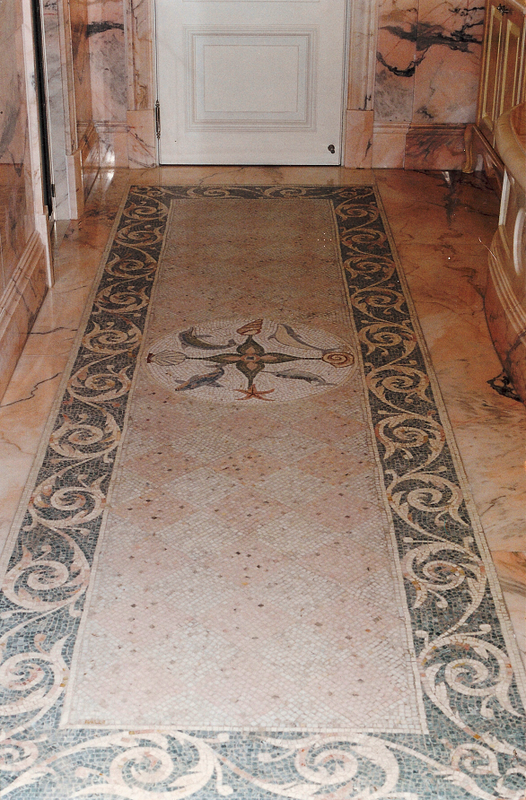 Using marble mosaic for the floor is one of the best ways to create a unique look for any room, creating an artistic yet naturally integrated effect. 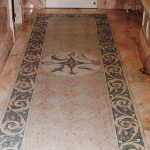 When properly installed, marble mosaic floors can last a lifetime in any home.